Published by Mountainblog on 01/19/2018 . 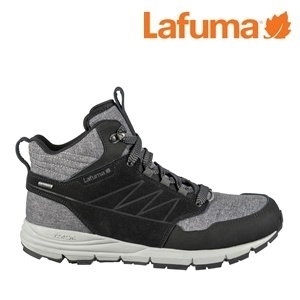 For everyday wear and exploring urban areas with peace of mind, the M LYNDEN MID CLIMACTIVE is a hip city trainer that deploys all of Lafuma’s know-how: the comfort of a crafted leather/textile upper, a Climactive® membrane for waterproof breathability, and the generous shock absorption of the Vibram® Fuga outsole. Vibram® Fuga outsole with cushioning EVA and full ground contact. EVA Midsole // 100% EVA.